Snagging surveys grow in popularity but with it comes choice and pitfalls. Stories of leaky, flawed and defective homes and consequential personal suffering have resulted in an explosion in the number of new home snagging companies – it is no longer a question of whether or not to get a snagging survey but rather which company to choose for the job. It is important that new homebuyers choose with care to ensure they get good value for money and a professional service. This short checklist will help discerning homebuyers choose the right snagging company. 1. Are they truly independent? Never use a snagging company that works for or is recommended by your house builder as this represents a potential conflict of interest and may result in the production of a “watered-down” snagging report to suit the developer’s needs rather than yours. Does the price include a second visit to inspect the remedial work? If not, how much do they charge for this? Does it include any after care service? If it does, what does this include? 3. Are the inspectors qualified and experienced? Currently it is possible for anyone to set themselves up as a snagging inspector. Make sure you get someone who is qualified and experienced. Qualifications vary, but look for professional qualifications in subjects such as chartered surveying and building surveying and membership of professional bodies such as the Chartered Institute of Building. 4. What track record has the company got? How experienced is the company? Do they have customer testimonials available? Do they have good media relations, which can be a good tool for resolving extreme cases? 5. How fast is the service? Larger companies with nationwide coverage will be able to provide the fastest and most efficient service. 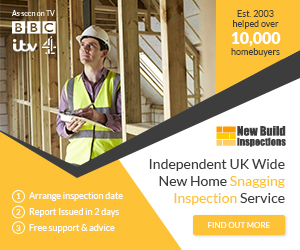 They will be able to arrange an inspection at short notice and issue the snagging report within the shortest timeframe. Remember that a snagging inspection can pay for itself many times over and will often be a fraction of the cost of rectifying the defects identified which the developer will be obliged to deal with. However, if cost is an issue but you have time on your hands then it is worth considering purchasing a snagging checklist, such as the one provided by www.snagging.org which allows you to conduct your own snagging survey.